A tech-savvy new suitcase is said to be about to change the way we travel thanks to its smart features and groundbreaking technology. The suitcase, made by Raden, has built-in technology that syncs with your smartphone and sends important information and alerts to it through a companion app. The bag is fitted with Bluetooth and sensors, which it uses to message to your phone telling you when it is coming down the baggage carousel, how long the queue is at security gates, what the traffic is like outside the airport, as well as updates on flight times and weather conditions. 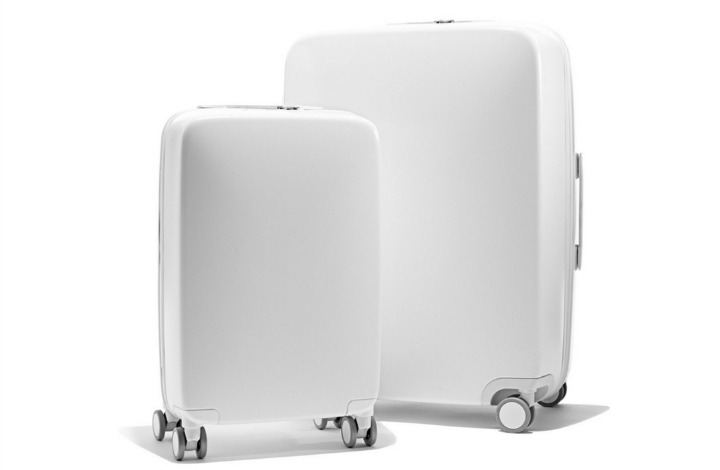 The ‘smart’ suitcase comes in two sizes. On top of all that there is a ‘live chat’ feature so you always have someone on hand if you need customer service support and a built-in scale to tell you how much your bag weighs. The suitcase is already gaining a huge following with people saying they can’t wait to get their hands on one. “I have been waiting for something like this for years!” said one fan. Others though are not so convinced. The bag comes in two sleek looks: black and white. “I think I’d rather have a plain bag for $20. It’s really only luggage,” said one skeptic. “I have a new mattress that is guaranteed to live longer than I am going to and now I can purchase a suitcase that is smarter than I am. The would is simply moving too fast for some of us,” replied another. The suitcases come in two sizes – the $395 A28 Check which goes in the cargo hold and the $295 A22 Carry which is small enough to fit in the overhead storage bin. The set costs $595. The suitcase is already on sale on America and Canada, with plans to sell to the rest of the world soon. Would you use one of the ‘smart’ suitcases? How often do you go on holiday?